I remembered the above mentioned comments and initiatives that jogged my memory to write on the topic of gender issues, which continues to be debated across the world. 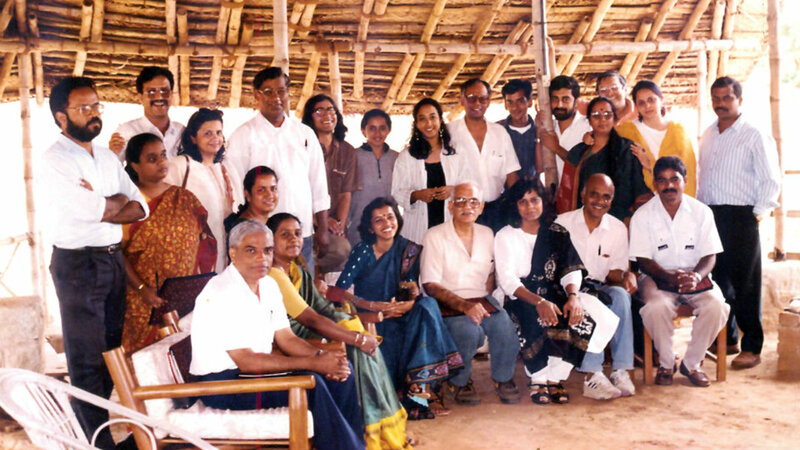 As I was actively involved in Gender Training-Sensitising programmes at the Administrative Training Institute (ATI) during 1990-95, my thoughts went back nearly 25 years ago when a unique ‘Male Gender Workshop’ was organised by Bengaluru-based NGO ‘Sakti’ headed by one Jacintha inviting me to take part in it. In fact, she was our NGO associate in co-ordinating gender courses with me in our institute. Her extensive work on the subject included bringing out Gender Trainers’ Manual in Kannada under my guidance which was released by the then Union Minister Margaret Alva. Interestingly, the three-day workshop was held at one of the private resorts in Bandipur National Park in March 1994. It created interest in me to attend the workshop where Jacintha was the Course In-charge. It was Dr. R.L. Kapur (late), internationally well-known Psychiatrist, who was instrumental in bringing out the hidden truth from the minds of the participants about their perception towards women. He was the Professor Emeritus of National Institute of Advanced Studies (NIAS), Bengaluru and also the Director of All India Institute of Speech & Hearing (AIISH), Mysuru, who passed away in November 2006. (He happened to be the son-in-law of famous Kannada writer Shivaram Karanth, marrying his daughter Malavika). My friend Prof. Umapathy, Psychology Faculty of Karnataka Police Academy (KPA) in Mysuru, helped Dr. Kapur with his interesting Exercise-Questionnaire on Gender relation that made the participants to come out of their existing attitudes and outlook towards women. Jacintha had intelligently included a few women for the workshop as silent observers. But their silence would break out often after sessions, coming to know the reality about gender stereotypes that is still existing particularly among the well-educated participants. They would tease looking at us commenting like ‘Oh! You gentlemen in the robe of Gender Equality showed your real mind about us.’ Still many liked asking: “How long you require to come out of your gender-obsessed shell? Whether the change in you will take place at all?” We had no satisfying answers to them! Though the outcome of this workshop was not of any significance, Jacintha made an attempt to know the mindset of men towards women. And still there is need for the involvement of men through many initiatives at the global level as mentioned in the beginning of this article quoting eminent personalities. It was further strengthened by a recent interview I read in The Hindu with a Journalism Professor at University of Texas, Prof. Robert Jensen, who was in Bengaluru for a programme. He says feminism is a gift to men. It helps us to transcend the limits of masculinity, which is not only dangerous to women but is also limited to men. Before I conclude, I recall the last Gender course conducted by me before retirement in ATI at the end of 1994. The present Chief Secretary K. Ratna Prabha (who was then I think DC of Bidar), Jija Hari Singh, who retired as IGP (then DIG of Police in Mysuru), a DC rank Officer of Income Tax Department, a Post Master General and our own Principals of District Training Institutes took part in the course. 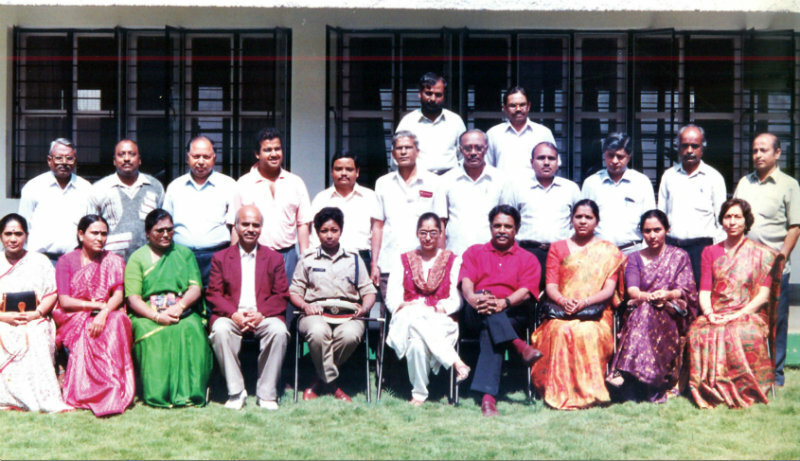 Sitting second from left: K. Ratna Prabha (present Chief Secretary); fourth: K. Vijaya Kumar, IPS Officer Jija Hari Singh, Income Tax DC and Post Master General.